Datamax-O’Neil New Thermal Printer Line | MIDCOM Data Technologies, Inc.
Hey everybody, I got some new information on the new line of workstation and performance series thermal printers coming from Datamax-O’Neil. Although if told you got to keep it on the down low. This info was just released and I am ready to give it to you, so lean in close because you never know who’s going to be listening. So let’s start off with the workstation STw.1110. Datamax–O’Neil is releasing this in hope of leading off the next generation of desktop printers with a bang. The Datamax-O’Neil STw.1110 workstation is outfitted with 50 resident scalar fonts. Customers can now create custom labels, on-demand with the printer including the 50 customizable fonts. The computer language of the Datamax-O’Neil STw.1110 is the PCL 5e standard, which is a universally accepted language making it very easy is to use in the transition process. Another benefit is the simplicity of the calibration which cuts down on the chance of injury, training and downtime. This is all wrapped up into one small compact but resilient case, to make this one of most straight forward printers to integrate and use in your company. Then we have the performance series printers that include the STp.1115, STp.1115s, STp.1120n, STp.1125 and the STp.1725. With this series, Datamax – O’Neil is trying to bring renewed energy into the world of thermal printing. This industrial size printer is equipped with 50 scalable fonts for printing any label custom or not, without any worry about the font. Along with its computer language also being the PCL 5e standard language, this printer series also include a standard 300dpi printhead allowing for printing high resolution along with settings to lower the resolution if required. The media auto loading feature and calibration also allows for increased productivity, by reducing the downtime of media setup. All these features of the STp.1115, STp.1115s, STp.1120n, STp.1125 and the STp.1725 are controlled by a new top-of-the-line graphic color touchscreen display designed with an intuitive menu and seamless navigation. 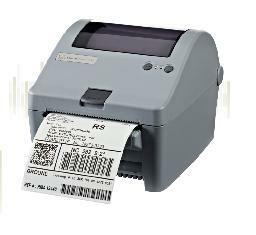 This printer also is SAP ready and can be easily integrated, enabling laser and inkjet users to realize the benefits gained from a rugged barcode printer and reduced operating costs. 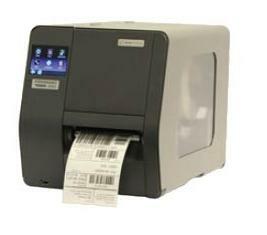 That, honorary agents, is the info on the new thermal printer series from Datamax – O’Neil. Use it wisely and remember to keep it on the down low. We got to be like Captain Kirk and Spock on their adventures on the Enterprise observing the new printer lines coming from the companies but without alerting them to our presence. Are you ready for that? Well, if you’re not that’s too bad, because it is a little too late now. I can’t wait till these new lines come. Till then, Error Code 007 out!